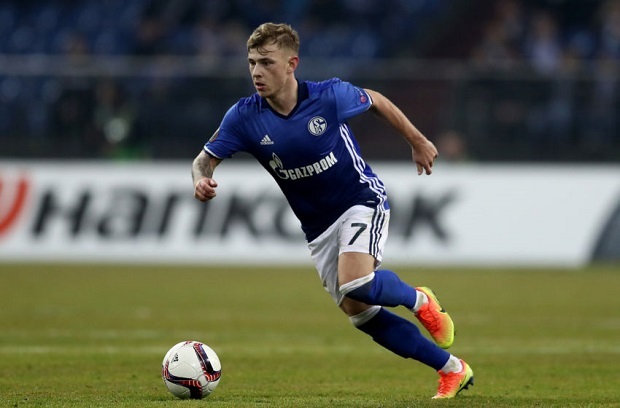 Liverpool FC and Arsenal have been put on red alert after Schalke revealed Max Meyer will be leaving the club upcoming summer, according to reports in Great Britain. English outlet The Sun is reporting that the 22-year-old seems set to leave the German side at the end of the season after Die Knappen reportedly failed to convince him to sign the contract extension. That would mean that Germany international could be available this summer as his current contract is set to expire at the end of the season. According to the same article, the development is likely to be of great interest to both Liverpool FC and Arsenal, who are reportedly keen on landing Max Meyer this summer. The story says that both of the Premier League giants have been keeping a close eye on the attacking midfielder, who has made 23 Bundesliga matches so far this term. Because he is not yet 24, he will not be able to depart from Schalke on a free transfer, meaning that any interested team would have to come up with a compensation package to land him.